Plasma & LCD Screens on eye level stands, wall mounted or desktop stands. 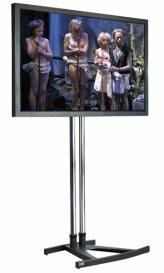 Example price for 42" Plasma on a eye level stand, see picture below. Video splitters, DVDs & Videos available.